Your kids thought that Elf on the Shelf was a dirty snitch, but just wait until they get a load of this Santa Cam. For just $19.99 you can further perpetuate one of the world's biggest lie to children, the existence of Santa Claus. Because, that jolly guy in the red suit knows when you are sleeping and he knows when you are awake, with or without this (dummy) cam. Santa can "check-in" from the North Pole to see when kids are kind to others, listen to their parents, and make good choices! But wait, there's more! 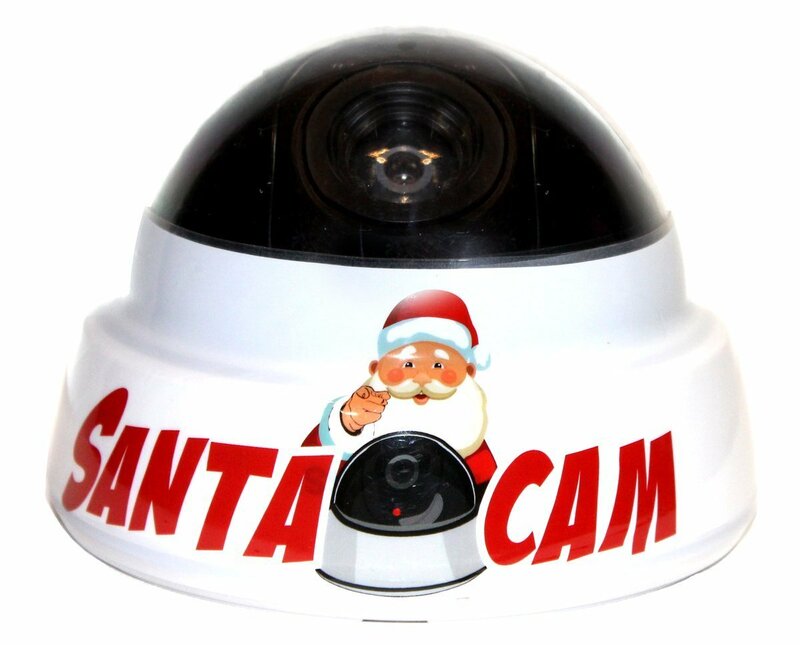 The let's-normalize-survelliance cam comes with the book, The Santa Cam Saves Christmas.